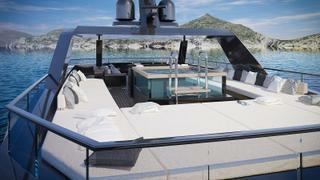 Italian yard Arcadia Yachts revealed a new 47 metre concept at the Cannes Yachting Festival earlier this month (September 12). 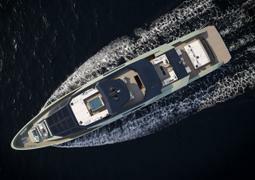 Developed in collaboration with the Hot Lab design studio, For.th (which is an abbreviation of forward thinking) represents the first of a new range of steel and aluminium yachts. The guiding principle, as with all Arcadia yachts, was to maximise the interaction between the interior and the surrounding environment, as well as ensuring a convivial layout with more than 300 square metres of communal areas without exceeding 500GT. 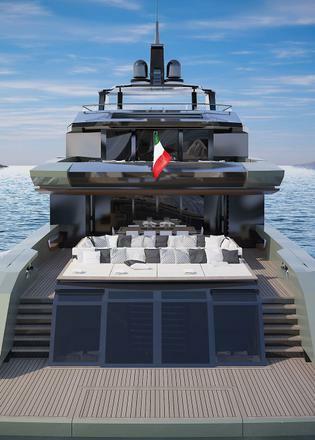 Key features include a superyacht beach club, complete with gym, and the extended aft deck, which measures 100 metres square, with separate areas for dining and lounging. 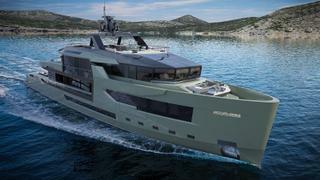 With the superstructure shifted towards the bow, For.th gains an explorer yacht aesthetic, reminiscent of the yard’s Sherpa range. Further details are being kept under wraps for now, with the engine installation and performance figures still undisclosed. For.th is the first Arcadia project that Hot Lab has developed from scratch after teaming up with the yard in May 2017 to refresh its A100 model. 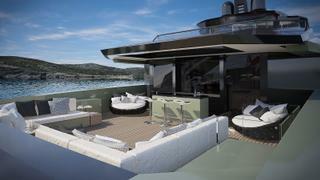 The resulting design, the Arcadia 100+, has seen two more hulls sold in less than four months. Speaking at the yard’s press conference, Arcadia director Ugo Pellegrino added: “We want to invest in the future as much as possible." Other superyacht projects currently under development at the yard include the Sherpa 72, another Hot Lab design announced in Cannes this week and due to hit the water in 2019.